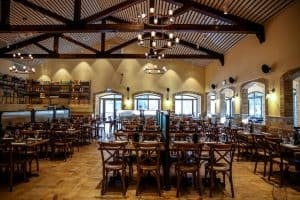 Featuring free WiFi throughout the property, Galilion offers accommodation in Yesod Hamaala, 35 km from Tiberias. 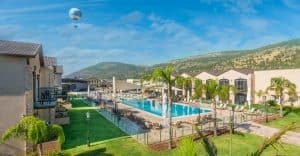 The hotel has a seasonal outdoor pool and views of the mountain, and guests can enjoy a drink at the bar. 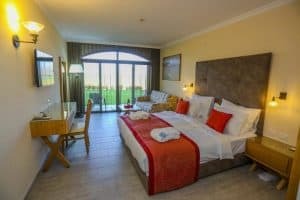 Free private parking is available on site.Each room is equipped with a flat-screen TV and a balcony with views of Hula Valley. Certain units include a seating area where you can relax. A terrace or balcony are featured in certain rooms. Every room includes a private bathroom. For your comfort, you will find bathrobes and slippers. You will find a 24-hour front desk at the property. You have discounts at the Agamon Skyride hot air balloon observatory. Hamat Gader is 48 km from Galilion, while Safed is 18 km away.